We are the leading Manufacturer, Exporter, Supplier and Importer of Cobalt Metal Powders. 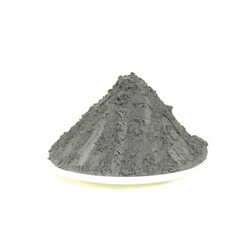 We feel delighted to introduce ourselves as a noticeable provider of highly qualitative Cobalt Oxide Powder. These products are available to the clients in safe packaging. With sincerity and hard work of our professionals, we have carved a niche for ourselves in this domain by providing premium quality gamut of Cobalt Powder. Our company is counted among the leading Manufacturers and Suppliers of Cobalt Powder. The Cobalt Powder which we provide is processed by using sophisticated technology. The Powder has accurate composition of different compounds, high effectiveness and longer shelf life as well. Furthermore, clients can avail the Cobalt Powder from us at very reasonable prices. Physical & Chemical Characters: Gray black powder. No smell. Insoluble in water but soluble in acid. Easy oxidation in air. - Main application: Special cobalt powder used for diamond tools industry. - 1 KG, 5 KG or 10 KG each bag. External package: in iron bucket, net weight 50 KG. First grade Cobalt is used in the manufacture of the Cobalt Powder that we offer. 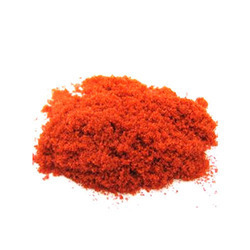 The Cobalt Powder has high purity and consistent particle size. The Cobalt Powder is offered to clients in neat packaging that ensures that the contents remain intact. The Cobalt Powder is available to the clients at market leading prices. Pack Size: 25 kg. & 50kg. Sentes Bir products are very well established in Europe and many countries in Asia across the industry- Oil & Gas, Valve, auto, engineering, power, steel etc. - Use: For cutting of Stones such as Marbles, Granite, etc. We are one of the most well-distinguished companies in the market that are into offering Cobalt Metal Powder. Matching up with the ever growing demands of the customers, our company provides Cobalt Chloride Powder. This Cobalt Chloride Powder is an inorganic compound of cobalt and chlorine. Moreover, our product range is also known as cobaltous chloride, cobalt dichloride and muriate of cobalt.